Any business located within the City of Hartsville or performing work within the city limits is required to obtain a business license each year. Business licenses may be obtained at Hartsville City Hall, 100 E Carolina Ave, in the Business Navigator Department (Weekdays from 8:30 a.m. to 5:00 p.m.). You can also apply online or renew online. Navigator staff will follow up with online applications to confirm details and fees before issuing licenses. Licenses are valid from May 1 through April 30. Renewals must occur by April 30 of the following year to avoid a penalty. A 5% per month penalty is assessed for any license not renewed by April 30. The Licensing Official reviews all applications and must approve them before issuance. Physical business located in the City limits must meet all criteria for building, zoning, fire and safety codes as inspected by the Building Official and Fire Marshall. Contractors operating within the City limits are required to provide a copy of their SC State Contractors or Home Builders license prior to applying for a business license. Please contact Karine Thomas, the Business Navigator Office Coordinator at 843.339.2868 with any questions. For business license renewals, the license fee is based on gross income on the preceding calendar or fiscal year. For new businesses, the license fee is based on a 12 month projected income. Renewal information is mailed in March each year. 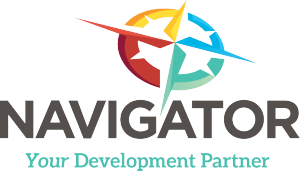 If you do not receive renewal information by April 15, please contact Navigator staff. Rates are tiered based on the type of business. There is a base rate on the first $2,000 of gross income, then an amount for each $1,000 in excess of $2,000. Staff reviews and determines rates based on NAICS code. Staff contacts applicant to provide cost of the fee. *Note if you do not receive information within two business days please contact the City to ensure proper mailing and contact information. The applicant pays online, via phone, mailed check or money order, or in person. If you’ve received notice that it’s time to renew your business license, you can apply to renew online with our Business License Renewal Application. Applicants must be approved by the Building Official and must meet all criteria for building, zoning, fire and safety codes. Building contractors operating within the City limits are required to provide a copy of their SC State Contractors or Home Builders license prior to applying for a business license. Taxi companies are subject to additional requirements and should consult Navigator staff or visit the Taxi Cab Services page for more information. The City Council for the City of Hartsville enacted a Food Truck ordinance in August of 2017 in response to public request for more and varied food options in town. The City’s ordinance allows for permitted food trucks to operate in the City of Hartsville on public or private property, with permission in either case, in various zones around town. Visit our Food Trucks page more about operating a food truck in Hartsville, view permit requirements, and download our permit application.